It's the weekly round up of New York law-related headlines--a day late since I've been unbelievably busy trying to recover from the "invasion of the stomach bug." Somehow I dodged the bullet, but everyone else in my household succumbed. I've spent the last few days trying to catch up and completely spaced about the round up yesterday. I do apologize. 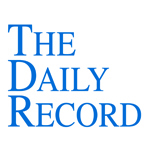 This week's Daily Record column is entitled "Promote Your Practice Through Social Media." 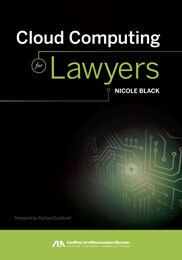 Online identities are becoming increasingly important in the Web 2.0 world in which we live, along with the need to understand how to use social media to promote a law practice and manage online identities. The Internet no longer is a quaint phenomenon, but rather an integral part of our daily lives, and the lives of our clients. People turn to the Internet for information, advice and social connections. Career counselors were among the first to recognize the importance of responsibly utilizing social media and social networking to further one’s career. They continue to be at the forefront of the movement. A number of the panelists said they believed a LinkedIn presence is the cornerstone of a professional online identity. Others, myself included, recommended the use of other types of online social media platforms, such as Facebook, Twitter and blogs. All participants agreed each platform has unique benefits, depending on a user’s goal —obtain a job, promote a business or network with other professionals. The legal profession slowly, but surely, is beginning to realize the importance of an effective online presence. When I began my first legal blog, “Sui Generis,” in 2005, only one other Rochester-based law blog existed. Since that time, a number of Rochester lawyers now blog. Two local law firms entered the blogging scene within the last year. Attorney Alexander Korotkin publishes the “Rochester Family Lawyer,"which discusses recent state family law decisions and provides practical advice for clients and lawyers alike. The newly established law firm Easton, Thompson Kasperek LLC recently joined the blogosphere as well. Its “New York Criminal Defense” blog provides insightful commentary and analysis regarding New York appellate criminal law decisions from some of the most experienced criminal defense attorneys in Rochester. Another lawyer, Elizabeth Randisi, who is associated with the Rochester law firm WeinsteinMurphy, posts regularly at “Sui Generis” regarding trusts and estates and elder law issues. Local lawyer Gregory Bell, an editor at Thomson Reuters, blogs about law and technology at “Practicing Law in the 21st Century” and also about blogs and another passion of his, the local Rochester jazz scene, at “Jazz@Rochester." Blogs are not the only way to create an online presence, but maintaining an online identity, in one form or another, should be the crux of any law practice’s marketing plan. People no longer reach for the Yellow Pages when they need an attorney. Instead, they ask friends for advice and seek information on the Internet. If your firm does not have an online presence that is easily located, without a doubt you are losing potential clients left and right. Promoting a law practice online is a no-brainer. It’s easy to create and manage an online presence using any one of the many free or low cost online platforms I’ve discussed. I assure you, the minimal monetary and time investment will be well worth the effort in the end. The weekend is over and the work week has now begun. You know what that means--it's time for the weekly round up of posts of New York law-related posts from my fellow New York law bloggers. What Must Be Shown For A Defendant To Be Entitled To Specific Performance Of A Plea Agreement? During a jury trial, an attempt to persuade the jurors to put themselves in the place of the victim or the injured person and deliver the verdict that they would wish to receive if they were in that person's position. For example, if the plaintiff in a personal injury case has suffered severe scarring, the plaintiff's lawyer might ask the jury to come back with the verdict they themselves would want to receive had they been disfigured in such a manner. As a rule, judges frown upon this type of argument, because jurors are supposed to consider the facts of a case in an objective manner. David Gottlieb got it right! A new client was recently referred to me by a colleague. The client had gone online and prepared her own Will, and my colleague was concerned that it might not be valid. I reviewed the client’s draft Will, and although it was awkwardly written and contained provisions that probably did not need to be included, it was, on its face, a valid New York Will. I contacted the client to let her know that her online Will was fine, but that I would prefer to prepare a new one using my own format. (Due to various circumstances, there would have been no cost to the client). The client declined. She wanted to use the Will that she had created online, and wanted to come in to my office merely to have my paralegal and me serve as witnesses. My husband (also an attorney who does a great deal of estate planning) and I visited with a close family friend earlier in the year. The friend was a successful, middle-aged woman who had recently come out of early retirement. She took obvious pleasure in telling us, repeatedly, that she had prepared her Will on the Internet and had thereby “escaped” the use of an attorney. I just upgraded my personal financial software to a 2008 version. In addition to the updated bookkeeping software, I now have the company’s Will-drafting software installed on my computer. From a few minutes’ investigation, it looks like a Will created using the software would be adequate for some, but not all, of my clients. These incidents bother me and I wonder if other attorneys have noticed a similar trend. I am sure that in many cases, a generic online document will serve a client well, and for fees that are much lower than the ones charged by attorneys. I am more concerned about the few cases where an online document provider may completely miss the mark on a client’s estate plan. Revocable Living Trusts that are created but never funded come to mind immediately. One website has a disclaimer stating that a client needs a lawyer if he or she will leave an estate worth more than $2 million, because then federal estate tax might be due. But in New York, the estate tax exemption is only $1 million – a $2 million estate might owe $100,000 to the State! In addition, I frequently prepare additional documents as part of a client’s estate plan: Health Care Proxies, Living Wills, Powers of Attorney, Standby Guardian and Successor Custodian designations, and Health Care Proxies for the client’s minor children. What if the software does not prompt the client to create these documents? Now many of these pitfalls could occur where a “real live” attorney prepared the client’s estate plan as well. However, when an individual attorney is involved, the client has recourse to the Attorney Grievance Committee, among other remedies. What is the client’s recourse if the “e-attorney” is wrong? Does this constitute the unlicensed practice of law? And what should the bar’s response be? Should I witness the first client’s online Will or persuade her to use one that I have drafted? I would appreciate comments from practitioners in all fields. As always, educated guesses are welcome!